Several Google Pixel, Pixel 2 users facing navigation gesture control problems after updated to android Pie 9.0. You can manually enable/disable android Pie gesture control system under system settings. Here’s how to fix Android 9 Pie gesture control problems. Android 9 Pie including several new features such as Adaptive battery & brightness, iPhone X style Gesture navigation, App actions, Digital wellbeing, overview selection, simulate a display with a cutout and more. 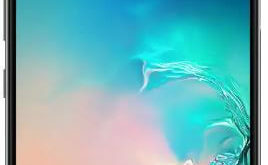 After update android Pie, Pixel users also facing different problems such has camera blank, fast battery charging, Bluetooth & Wi-Fi connectivity problem etc. 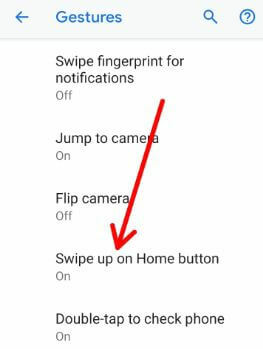 Apply below given method to fix Android 9 Pie gesture control problems. This iPhone X style gesture is useful to quickly open recent apps and app drawer from any screen in your Google Pixel, Pixel 2 and other supported devices. When turn on navigation gesture on android Pie 9.0, you can see Pill (Horizontal line) icon at bottom of the screen. Just swipe up pill button to see recent apps list and switch apps in your Pie device. 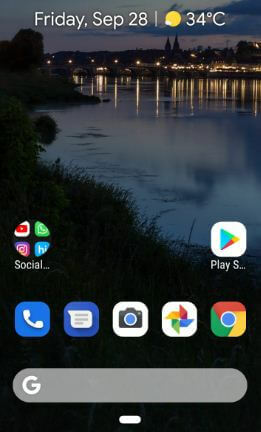 To see android 9 Pie app drawer, swipe up pill button two times. If you are facing problem on navigation gesture control on android 9 Pie, disable it using below given settings. 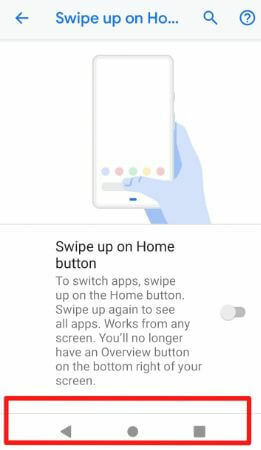 In android Pie gestures list, you can see swipe fingerprint for notifications, jump to camera, flip to camera, swipe up on home button, double-tap to check phone, lift to check phone and prevent ringing. Now you can see back, home and recent apps button instead of pill & back arrow button in your android 9 Pie devices. And that’s all. 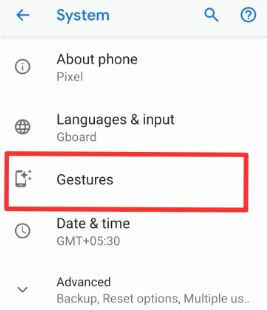 I hope this little tip helpful to fix Android 9 Pie gesture control problems on Google Pixel, Pixel 2 XL. If you have any kind of trouble, tell us in below comment box. hi,i still have problem,i have to swipe down notification shade then i can click any of back/home/recent app. i cannot use it as it is..anyone can help?